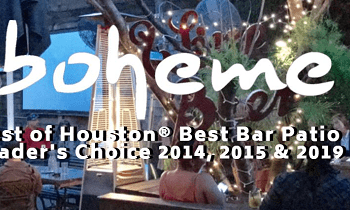 BCycle Members get Happy Hour prices all the time at Boheme! Show your B-Cycle membership badge for Happy Hour prices all day, every day! *Drinks only. Discount does not apply for Food.